The Delhi chief minister, who addressed an Opposition rally in the city on Wednesday, accused Narendra Modi of behaving like the prime minister of Pakistan. Delhi Chief Minister Arvind Kejriwal on Wednesday asked voters not to repeat the mistake of electing a “Class-12 pass” the prime minister in the upcoming Lok Sabha elections. Kejriwal made the remark at the “Remove Dictatorship, Save Democracy” rally led by his Aam Aadmi Party at Jantar Mantar in New Delhi. Kejriwal accused Prime Minister Narendra Modi of behaving like a Pakistani prime minister, and said that by “dividing the country” he was fulfilling Pakistan’s dream. 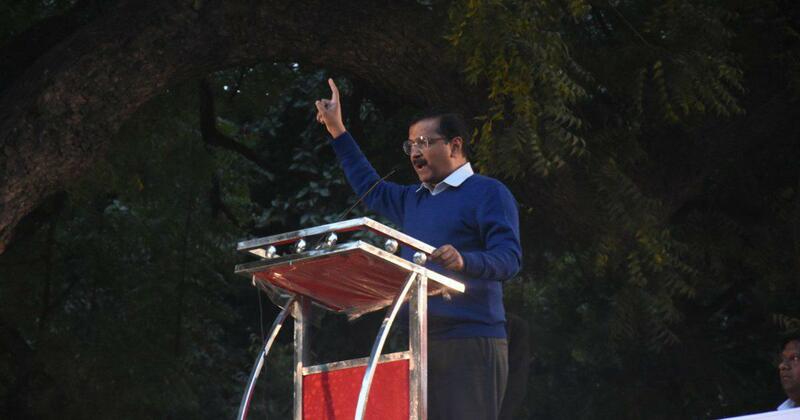 Several Opposition leaders gathered in Delhi on Wednesday to attend the rally. West Bengal Chief Minister Mamata Banerjee, National Conference leader Farooq Abdullah, Nationalist Congress Party chief Sharad Pawar, Loktantrik Janata Dal chief Sharad Yadav, and Communist Party of India (Marxist) leader Sitaram Yechury were among those present on the stage along with Kejriwal and other AAP leaders. Congress leader Anand Sharma was also seen on the stage. “This rally will uproot the Modi government just as it removed the then government [led by the Congress] in the country after the historic anti-corruption movement gathering at Jantar Mantar on April 4, 2011,” Kejriwal said. He said the prime minister would have to resign if the truth behind the Rafale fighter jet deal signed with France were to be uncovered. He also accused Modi of “tearing apart” the Constitution that provides federal structure in the country.